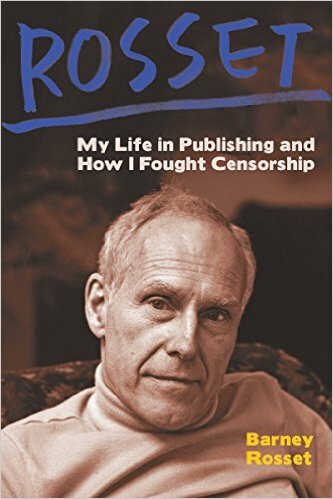 An autobiography by the late Grove publisher Barney Rosset, focusing on the battles he fought to bring controversial classics such as Lady Chatterley's Lover, Tropic of Cancer, and The Autobiography of Malcom X to American readers. Rosset died in 2012, at the age of 89. Work continued on the manuscript, but by the time it landed on Oakes’s desk, he reports, 'it had been pruned to death.' More editorial hands stirred the stew. The result, Rosset: My Life in Publishing and How I Fought Censorship, has the feel of a group project, with flashes of light and life, but too often is as prosaic and stiff as its subtitle ... His account of the successful and nearly decade-long effort [to publish Tropic of Cancer] — including Miller’s initial reluctance to publish in the United States, and Grove’s use of D.H. Lawrence’s Lady Chatterley’s Lover as a judicial stalking horse — is a valuable addition to the historical record ... Rosset has less to offer when it comes to the author’s personal life. It recounts his first marriage, to the painter Joan Mitchell, but subsequent wives — there were five in all — appear, minus introductions, as bit players in anecdotes. ...[a] gruff and amusing memoir ... For bibliophiles and those with a renewed investment in guarding the First Amendment, Rosset’s long-overdue account of his career in publishing is a welcome addition to all those musty old Grove paperbacks. 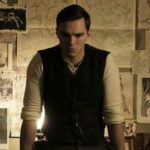 Recalling the implications of his first big censorship battle, for Lady Chatterley’s Lover, he writes, 'It would be a savage kick in the face to Death and a lovely kiss to Life.' That could have been the company slogan. Beyond the breakdown of censorship, Rosset offers some of the usual fare of a publishing industry memoir, including writers-behaving-badly anecdotes and reminiscences of friendships with particular authors. He emerges as a hot-tempered iconoclast, and does not exclude episodes that cast him in an unflattering light...It is clear nonetheless that alongside the irascible and sometimes uncomprehending Rosset existed a compassionate individual who invested deeply in his relationships. Moving letters are reproduced here in their entirety, as well as quotes from his own FBI surveillance files ... Rosset’s style has neither the lyrical presence of Athill’s nor the 'numinous' quality he attributes to favourite authors such as André Malraux and Miller. Instead, his narration gives the sense that life is being lived far more vibrantly outside its pages. What did you think of Rosset: My Life in Publishing and How I Fought Censorship?